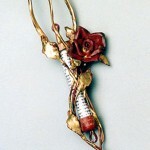 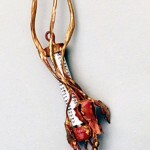 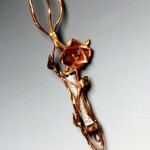 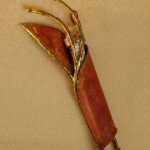 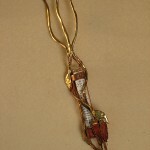 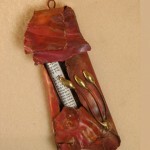 I make copper and bronze mezuzot cases. 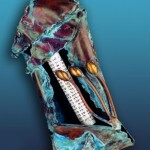 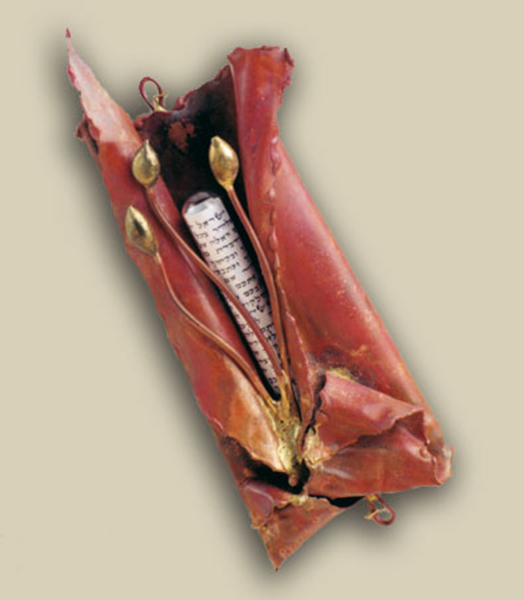 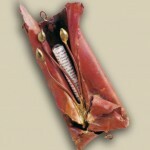 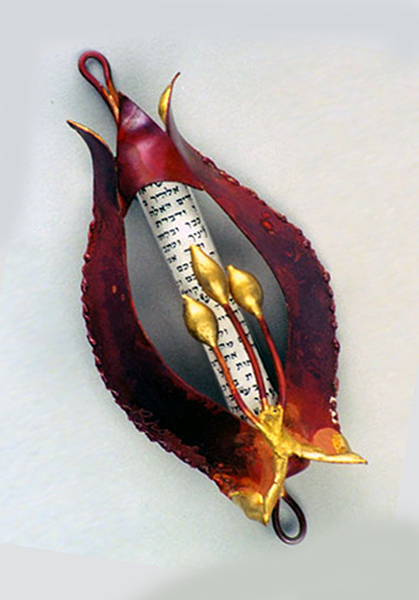 I have created large artisan mezuzahs (mezuzot) for the gates and doorways of Jewish institutions. 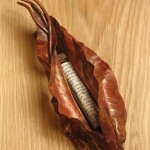 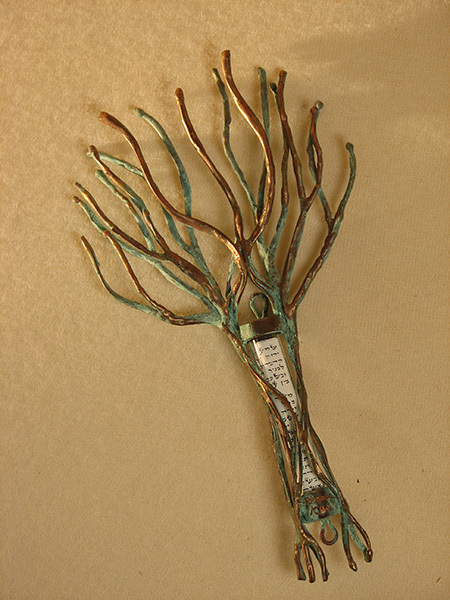 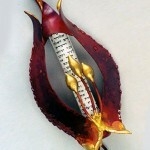 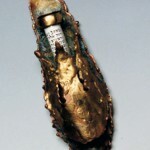 My hand made Etz Haim (Tree Of Life) mezuzah has adorned many a Jewish home. 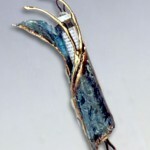 This is one of my signature pieces. 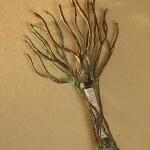 It has eighteen branches to stand for ﬣיִ meaning life. 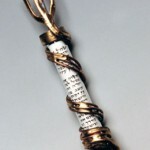 There are seven roots to represent the seventh day Shabbat, because if you keep the Shabbat everything grows from there. 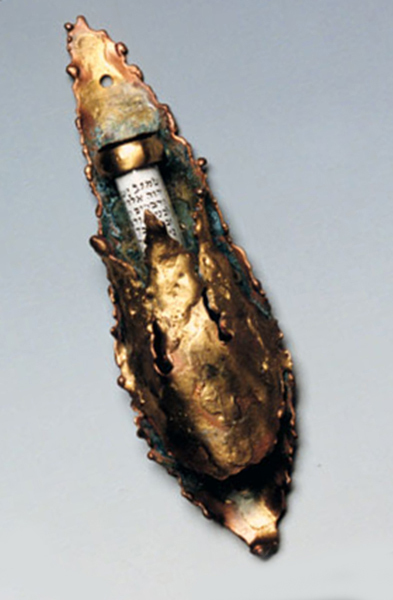 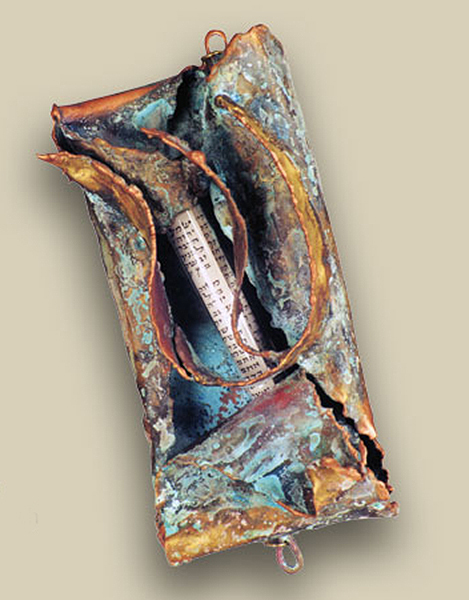 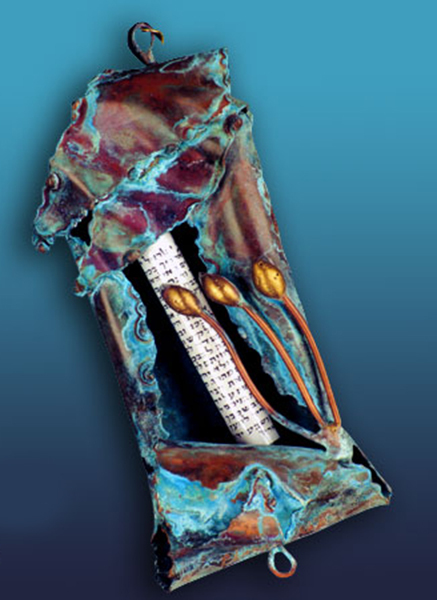 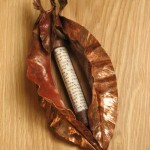 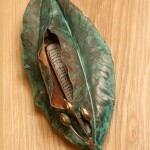 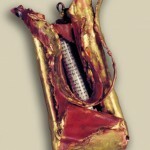 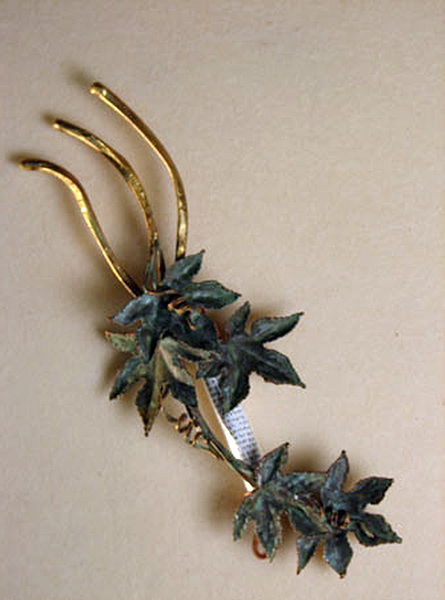 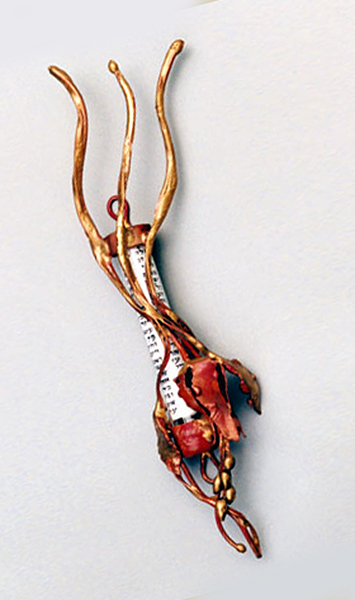 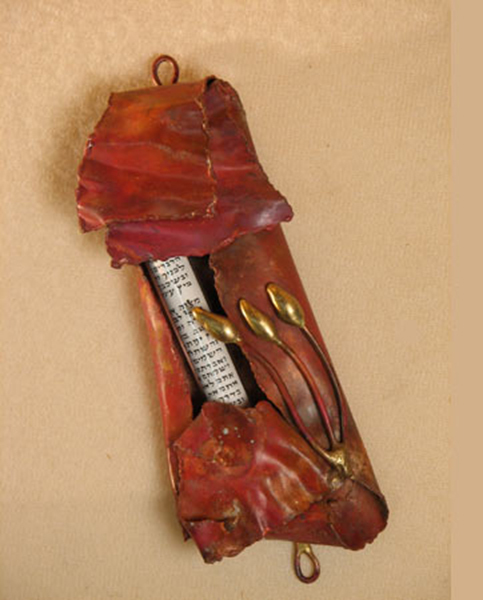 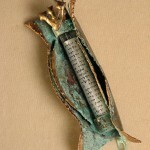 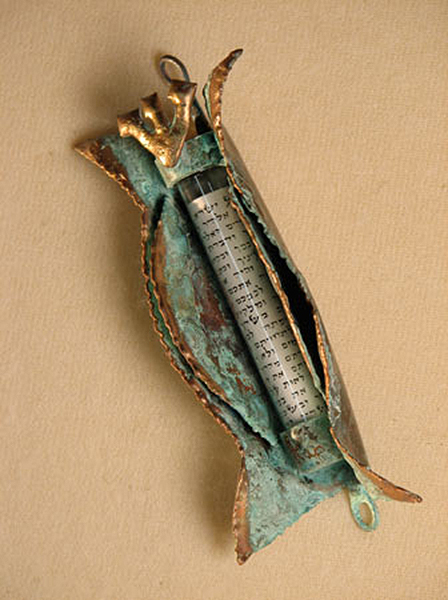 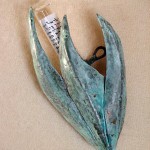 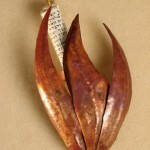 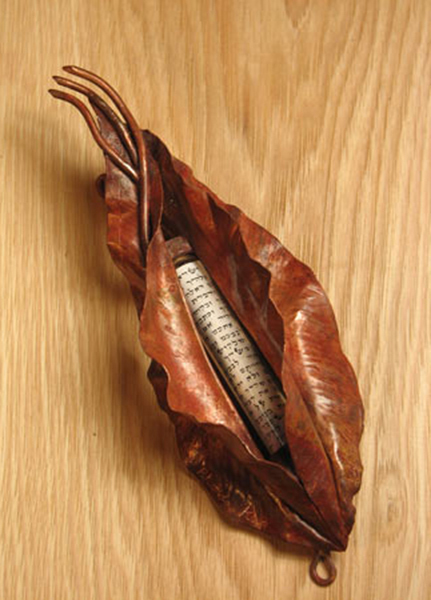 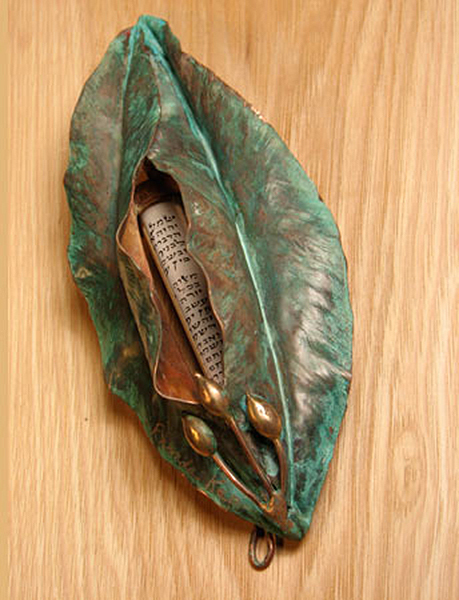 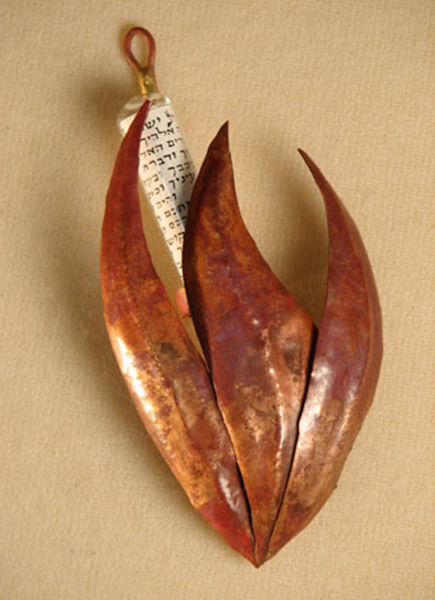 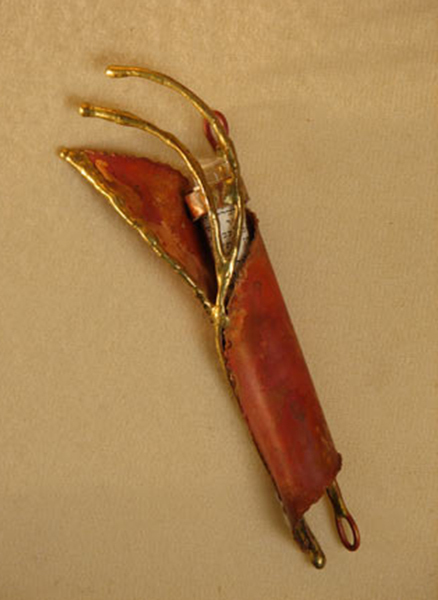 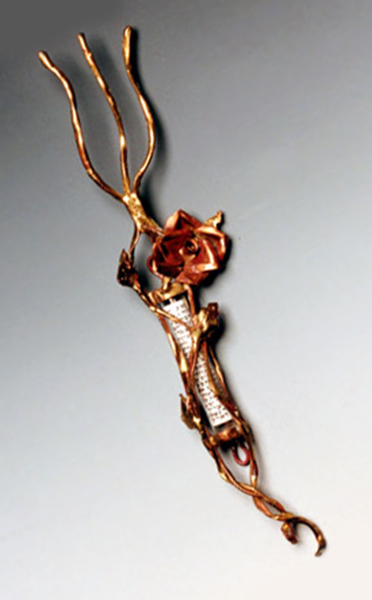 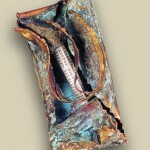 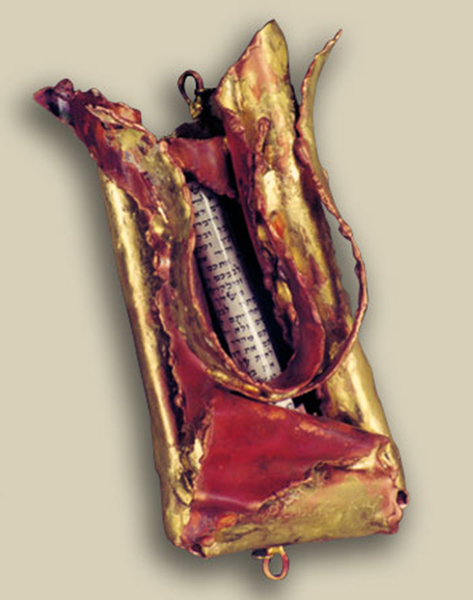 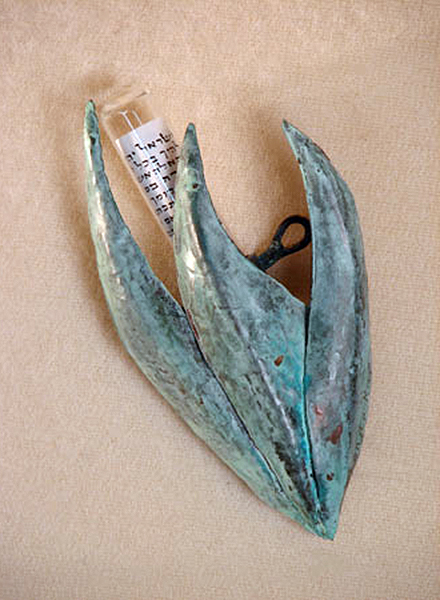 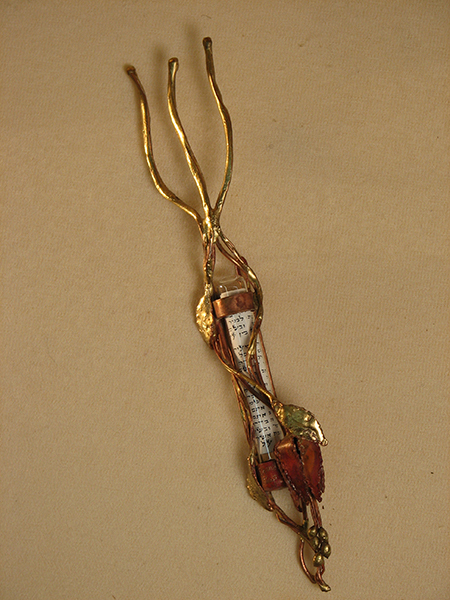 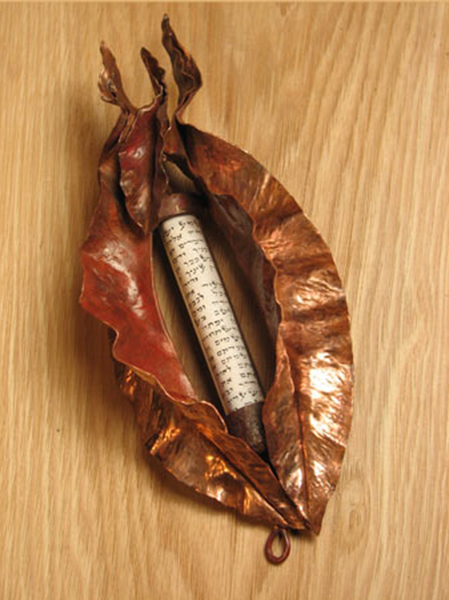 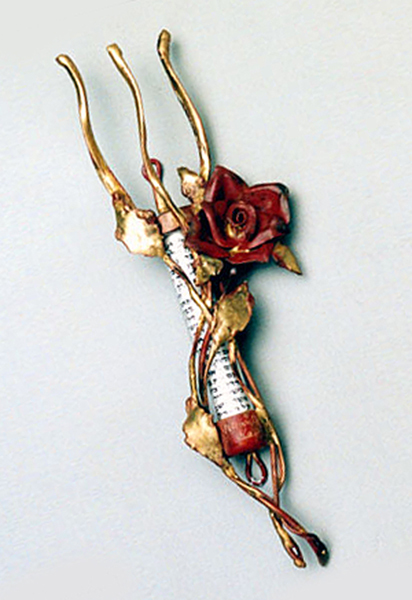 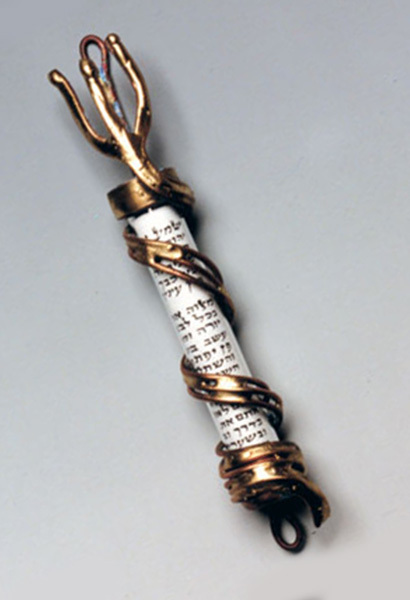 The Copper Leaf mezuzah was a 2015 NICHE Award Finalist. 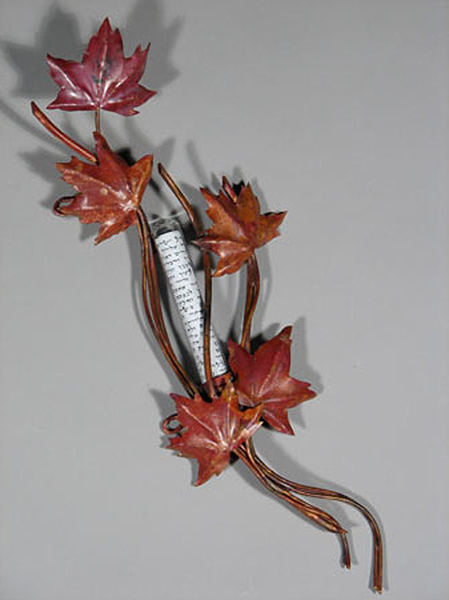 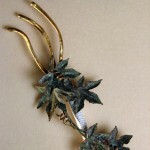 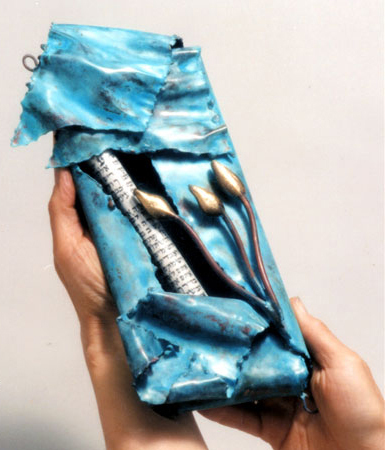 The NICHE Awards program began in 1989 to celebrate excellence and innovation in American and Canadian fine craft. 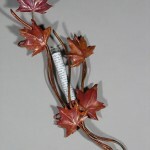 They all will fit on standard doorpost. 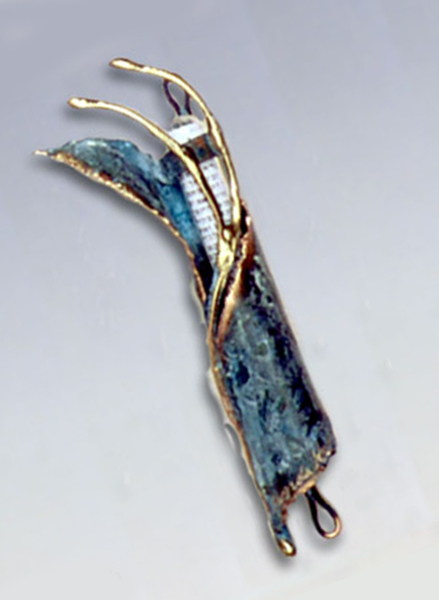 If you are interested in purchasing a piece from the site or would like me to make something special for you, please contact me at 30516 Mulholland Hwy, Cornell CA 818-706-2373 or send an email to rkapmetalartist@aol.com.